IMPERIAL HUNTER HOTEL LTD. Land, buildings and active business for sale. 6 VLTS. 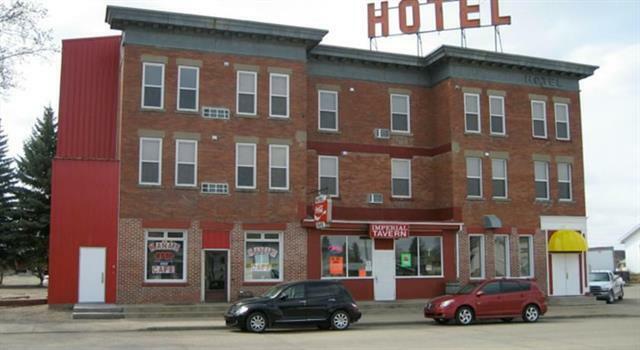 24 renovated rooms, 2 laundry rooms, 120 seat tavern, room for liquor store, new boiler and furnace. Lots of History. Liquor and food inventory extra at closing. Great manager and staff. Across the street from new Town Hall. Very busy with good room revenue. Recently approved for a Retail Cannabis Store by Town of Bassano.Owner retiring. Realtor has interest. 48 hours to show.